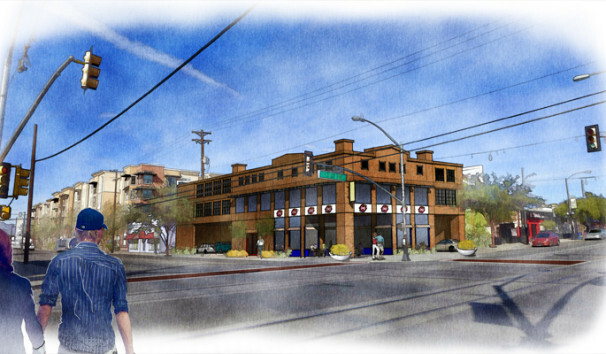 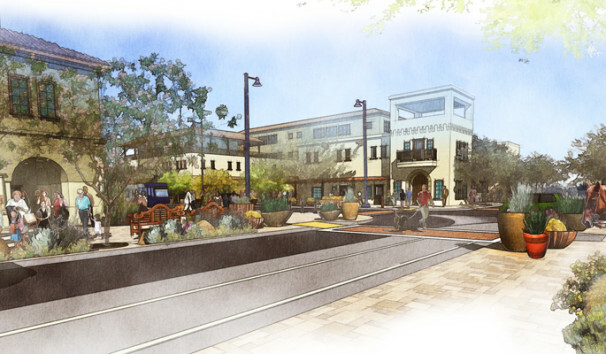 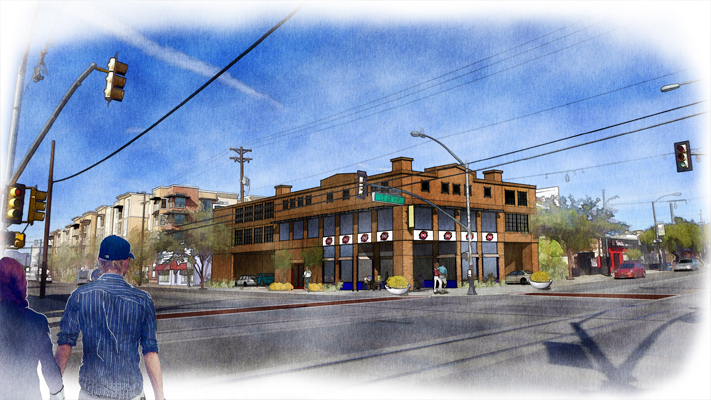 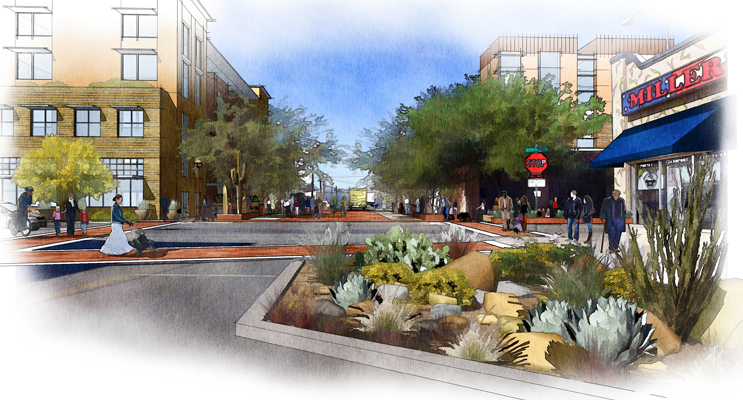 Pima Association of Governments engaged The Planning Center (along with subcontractors Poster Frost Mirto, Psomas, Shiels Obletz Johnsen, and Urbsworks) to prepare properties within a quarter mile area of the Tucson modern streetcar alignment for transit oriented development. 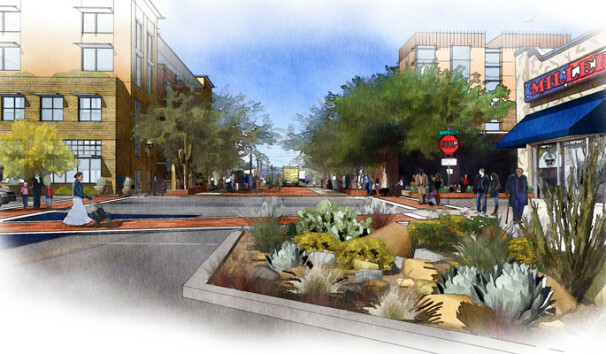 The process included a week long planning and design charrette which included input from a variety of stakeholders and community interest groups. The Planning Center translated ideas and concepts into a shared vision through the use of conceptual site imagery, depicting existing and potential conditions along the streetcar route. 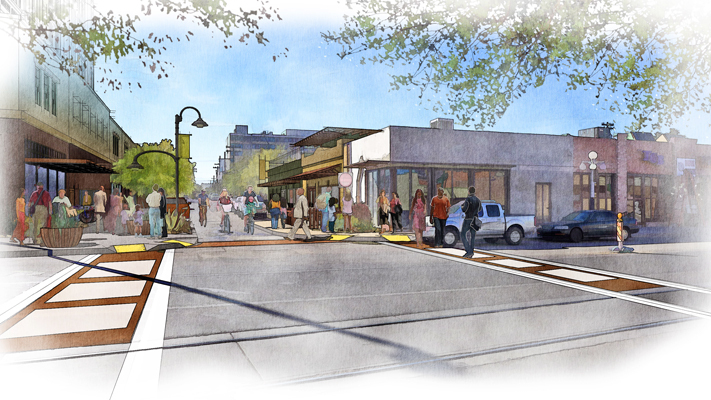 These images were created quickly and revised efficiently during the charrette process, in order to stimulate discussion and expand the shared vision.